Husband is fishing, I'm adding the BLACK on the sides, top and bottom on my star. Get the real ironing board out and let the applique flower cutting begin ! Note.....I have to dig out the ironing board, I think it's in the master closet?? Told myself NOTHING until the Lanai is clean, it's done. 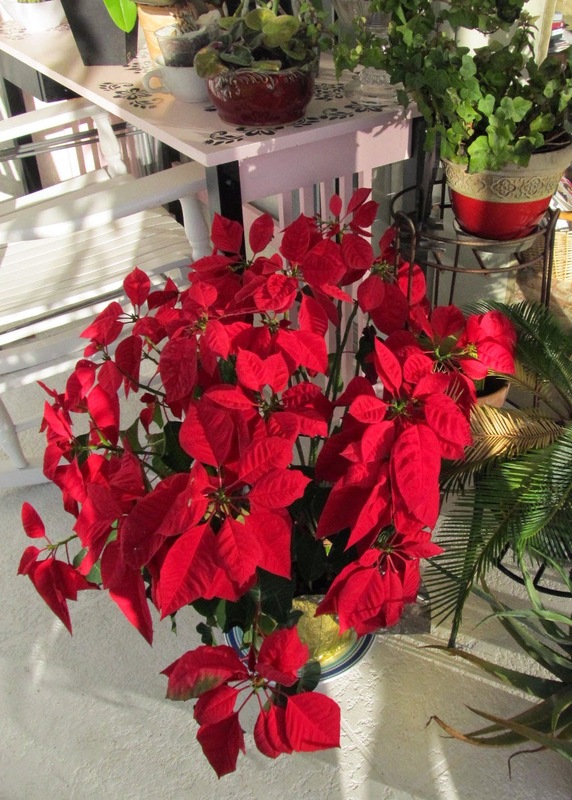 My Christmas poinsettia has become a tree, had it since mid-November? This weather here, still can NOT believe it ! AND, this pictures as taken, changed to "RAW" edited and then back to JPEG, I understand about half of that, but I did it BUT, I can't tell any difference.....can you? I'm sharing a lot of things on my site and on Facebook only about 50-60 of you are seeing them when I don't purchase a boost post. NOT doing that much..... it just cost too much. 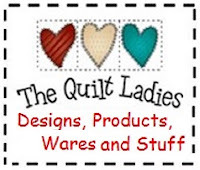 So, if you want to see all the free quilt patterns, the tutorials, and everything you have to stop over and while you are there SIGN up and you'll received everything in email form. Right side half way down, "DON'T MISS ANY POSTS"